Arnulfo “Arnie” Milambiling, a Marine Engineer by profession, saw an opportunity in Subic Bay where he initially found work at the US Naval Base’s shipyard. He and his wife, Imelda, started to supply the American servicemen stationed there with furniture starting in 1987. 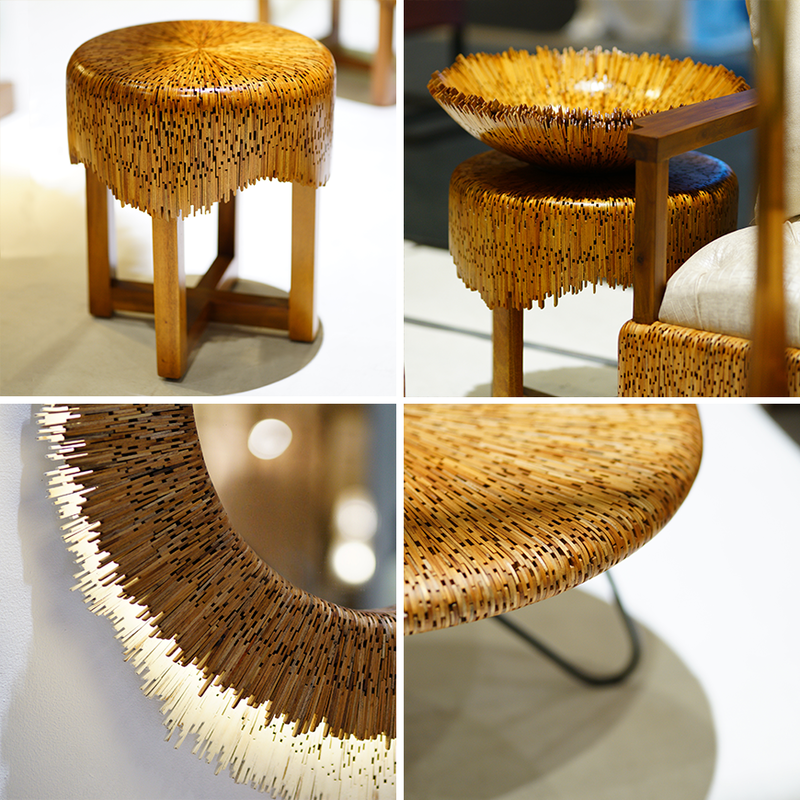 Contemporaneo’s distinctive style seen at Manila FAME October 2018. Under his old company, Muebles Lizamyr, Arnie joined his first Manila FAME in 1995. He initially sold furniture parts since he didn’t have the capacity to manufacture furniture. Though he did quite well, it will take another nine years before Arnie’s next Manila FAME outing. 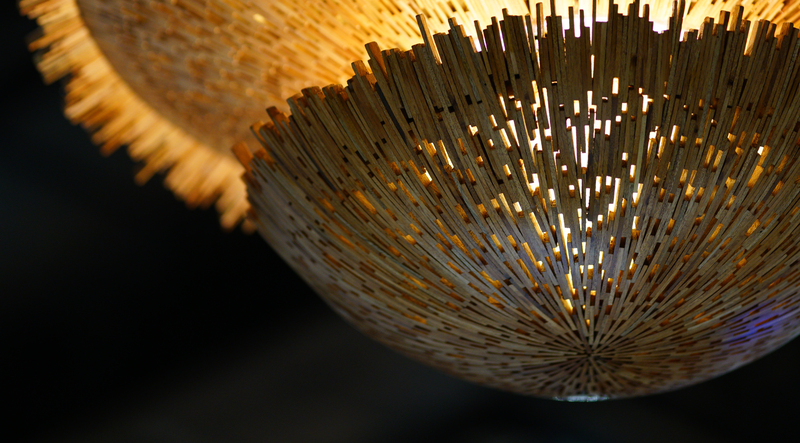 Arnie uses wood chips and end cuts are recycled to make furniture, lamps, and even sculptural pieces. With the new name came new designs that suited both export and local buyers. Material was also key to Contemporaneo’s survival with Arnie spearheading his company’s research and development program. He found new ways to use Contemporaneo’s end-cuts, which were usually made into charcoal. Arnie’s thirty-plus years in the furniture business wasn’t an easy journey. Flexibility and the courage to change helped his company survive the rough sailing. It was his positive attitude, though, that allowed him to see the opportunities that came with the setbacks.